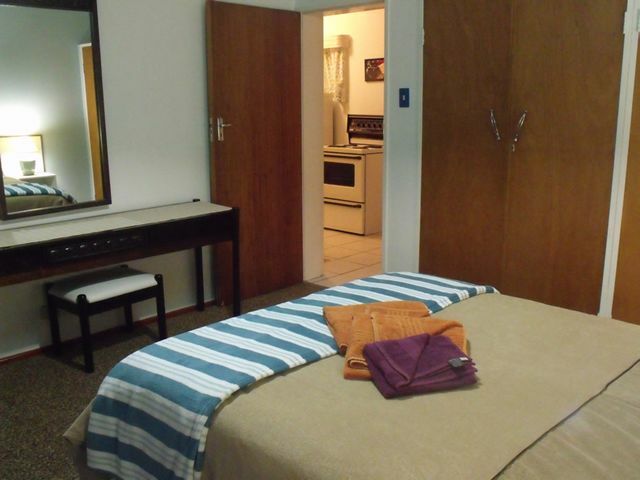 Our flats are fully furnished, fully equipped for self-catering and our bathrooms have a toilet, basin plus a shower over the bath. 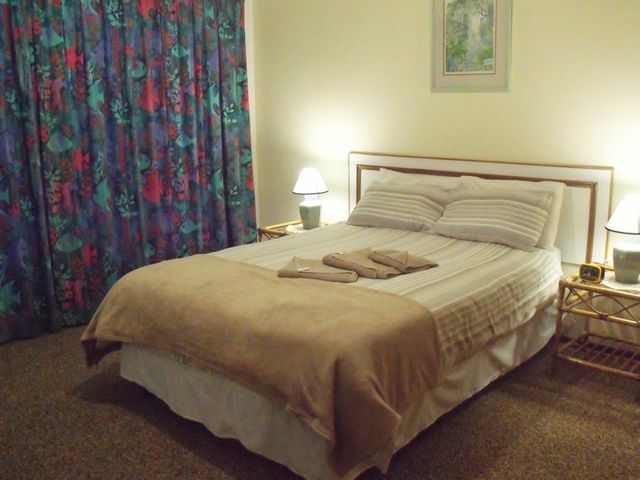 Linen, pillows, blankets and towels are provided. 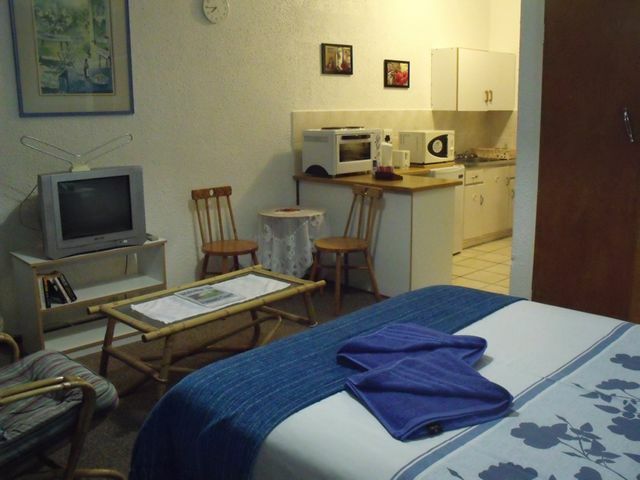 All our flats have DSTV [Hotel Package] plus FREE WiFi access. 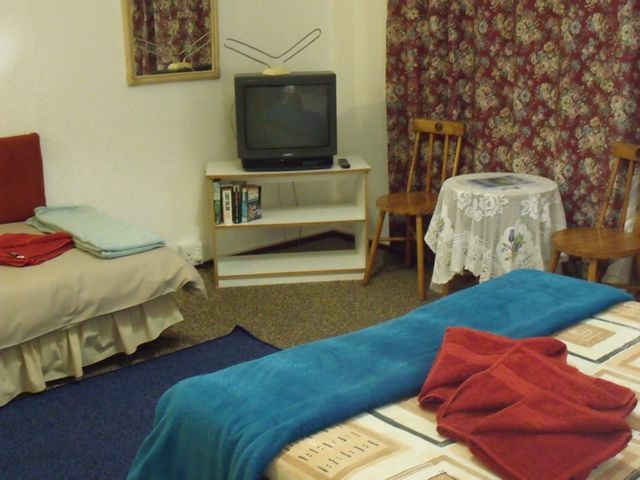 Please ask for the password at reception. 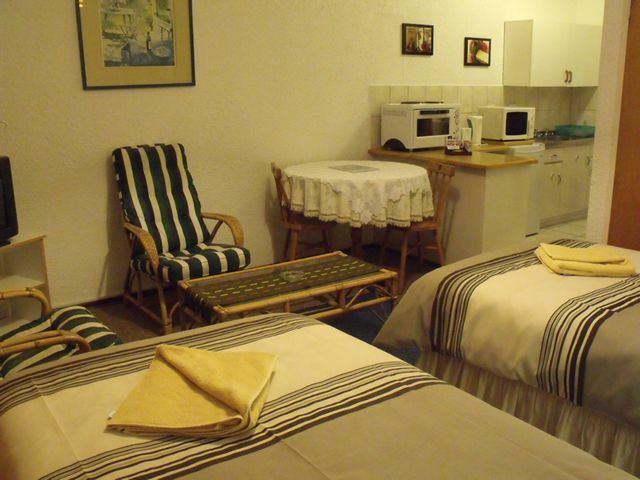 Complimentary tea & coffee trays are also provided. 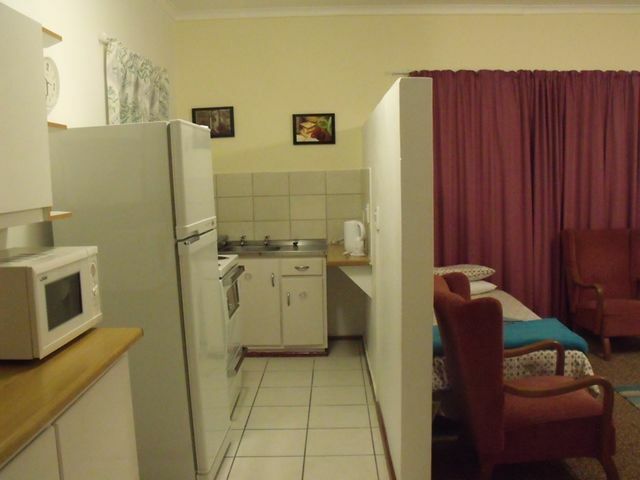 We have 12 Studio [Bachelor] Flats & 6 One Bed Roomed Family Flats. 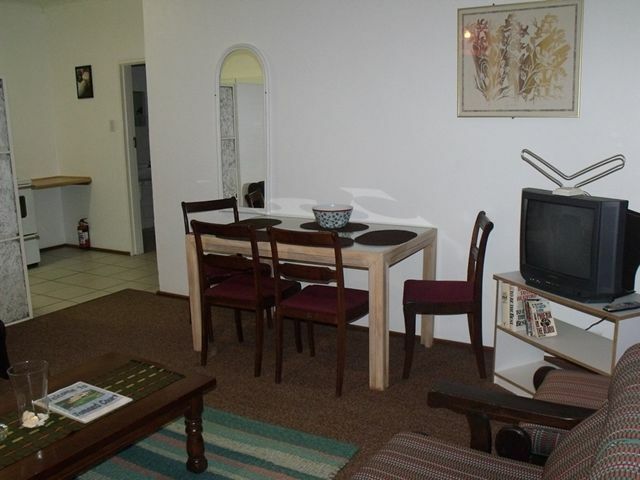 Our flats are clean, well maintained, well located and tend more toward the efficient than the fancy. 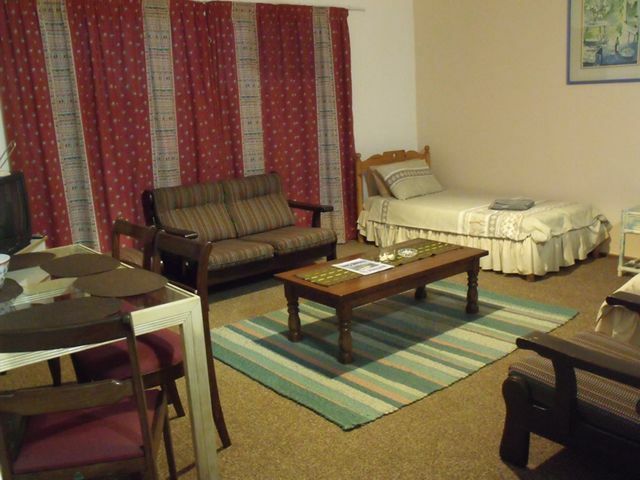 Ideal for the budget-conscious traveler seeking comfortable, value-for-money accommodation without the hassle and expense of eating out. 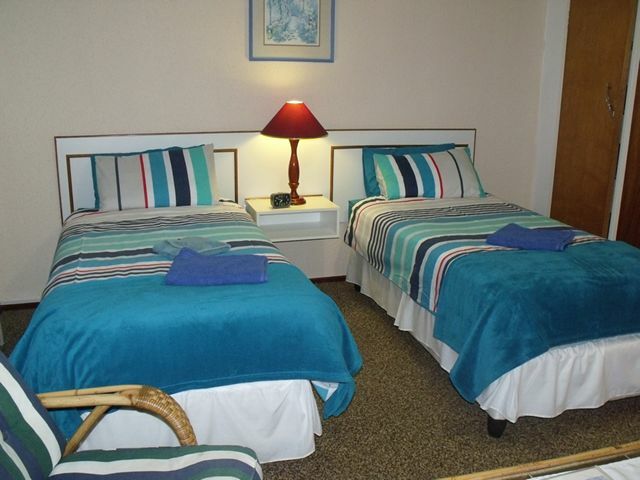 Longs stays [7 days +] are available at discounted prices, please enquire for more details. 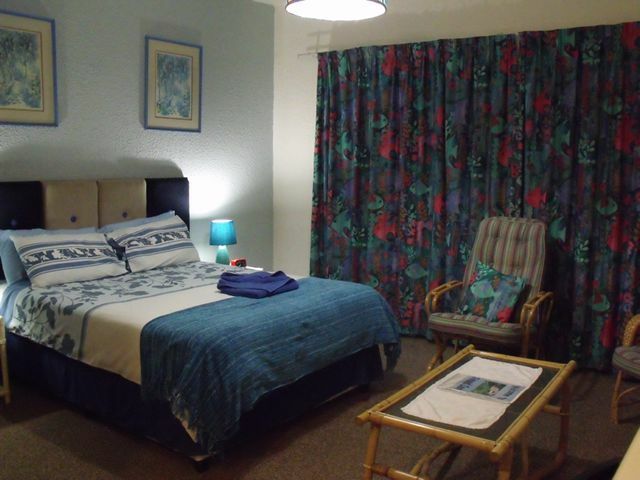 Visit our Rates Page for more details. 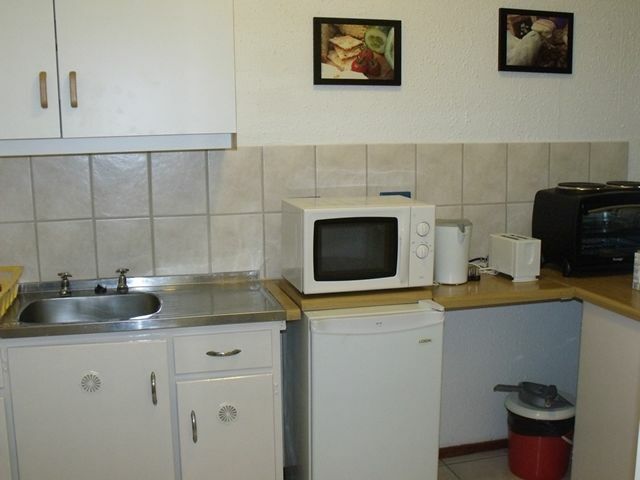 Our Studio Flats have adequate cooking utensils, crockery and cutlery plus a a microwave, counter-top oven with two plates and a small fridge. 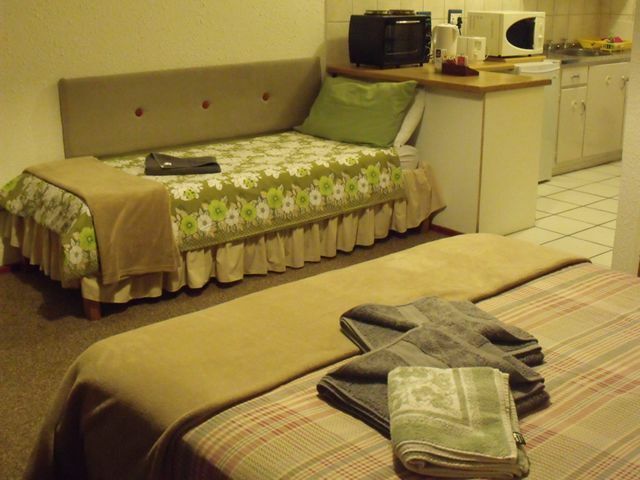 Our Studio S Flats have 2 single beds instead of 1 double bed. 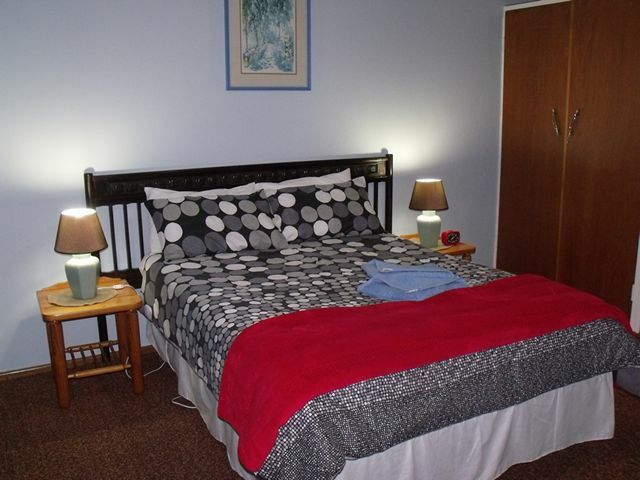 Our Studio K Flats have 1 double bed plus an additional single bed suitable for a child under 12. 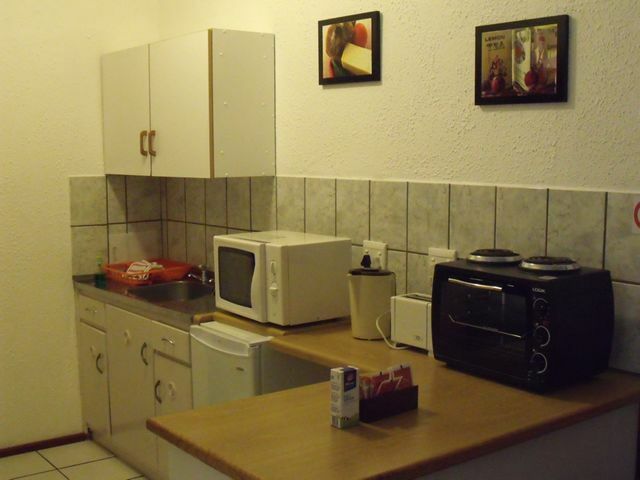 Our Family Flats have adequate cooking utensils, crockery and cutlery plus a a microwave, full sized stove with four plates and a medium sized fridge with separate freezer compartment. 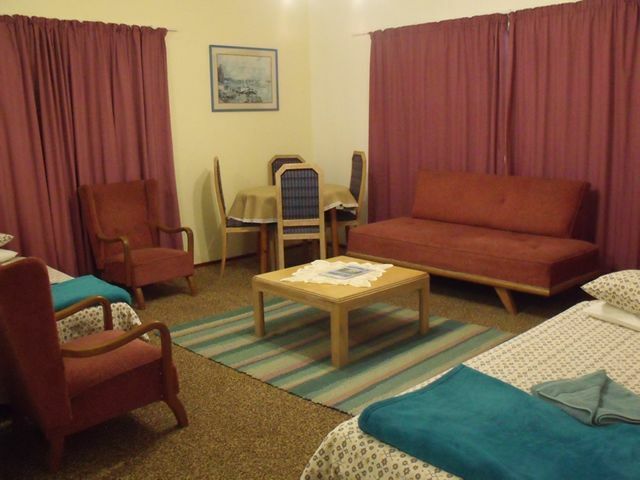 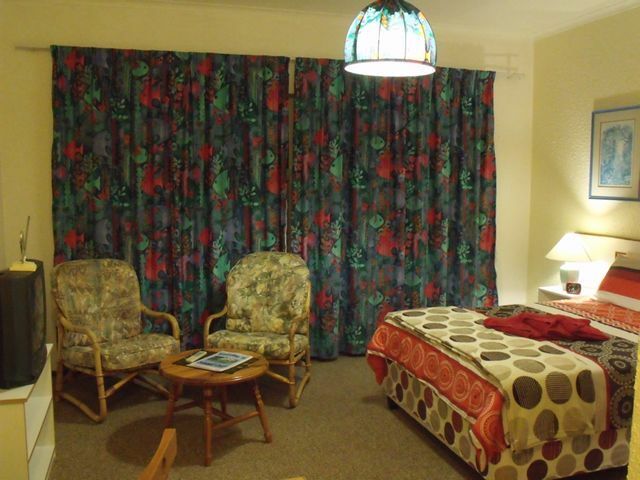 Our Family S Flats for up to 4 people, have a double bed in the bedroom plus two single beds in the lounge. 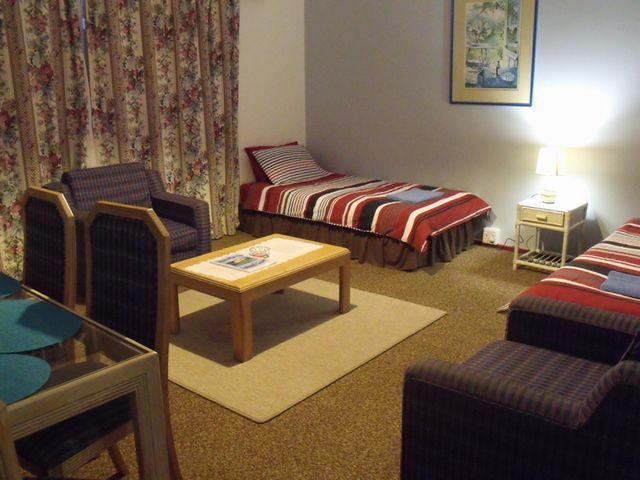 Our office is open from 8 am to 4.30 pm Monday to Friday, but we do have a Night Manager who will take bookings and book you in and out after hours. 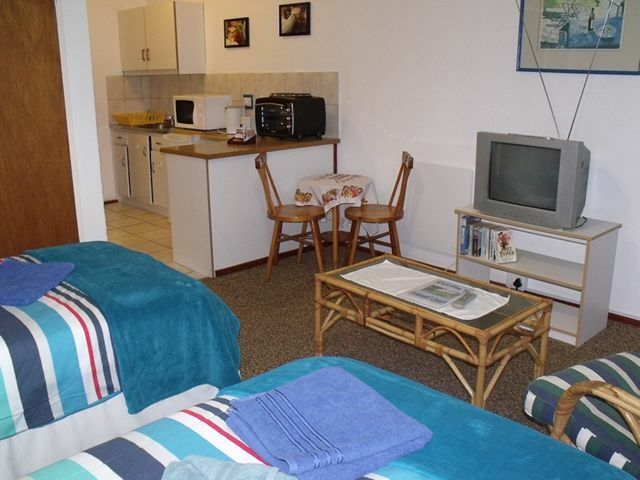 Please note that images may differ from your actual flat, as each flat is unique in furnishing and style. 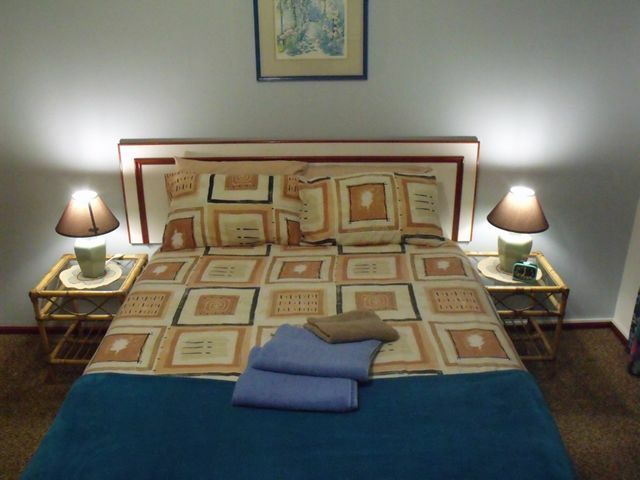 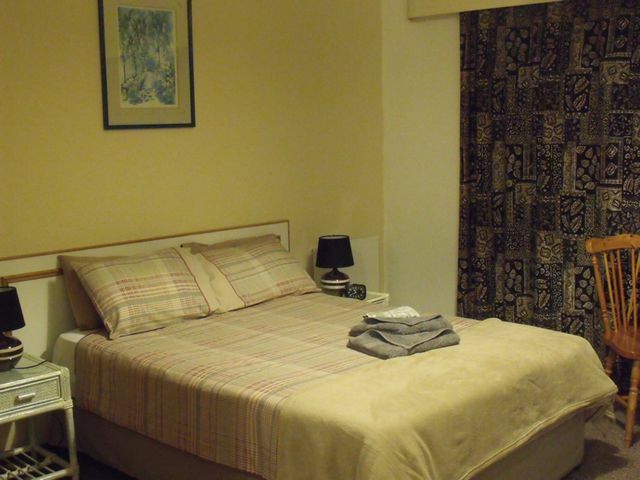 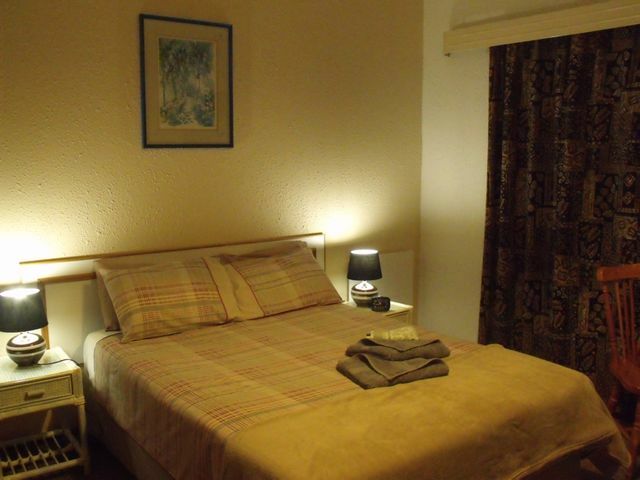 Studio D. Double bed for 1-2 guests. 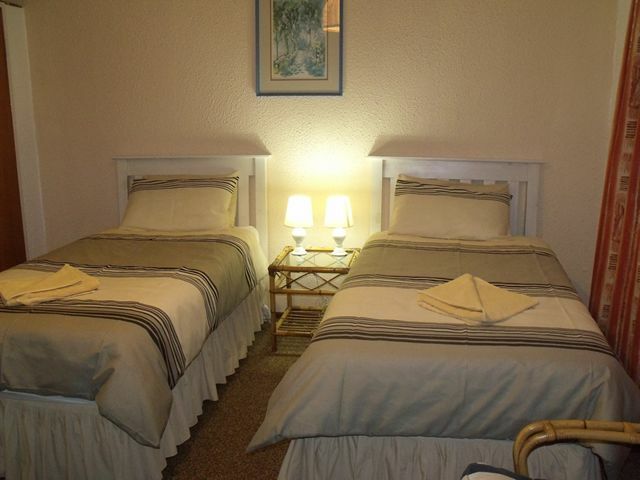 Studio T. Two single beds for 1-2 guests. 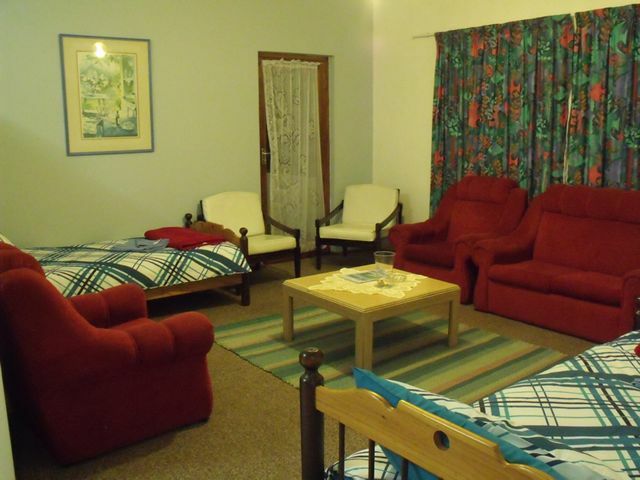 Self-catering flats for 1 to 4 people, on a nightly and medium stay basis.